#ArduinoInAustralia. 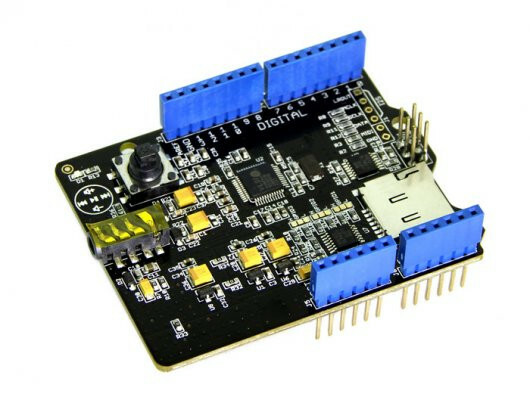 Music Shield V2.0 – convert your Arduino into real-time MIDI instrument/music player! Based on VS1053B chip and allows you to play sound files from SD card and short recording as well. It supports SD card, 3.5mm headphone jack, MIDI interface breakout and new multifunction button. It supports MP3,WMA,WAV,AAC,MIDI etc music formats and high quality playback.